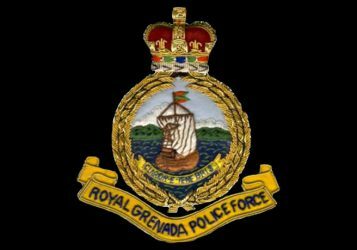 The Traffic Department of the Royal Grenada Police Force (RGPF) wishes to inform the general public that the following traffic arrangements takes effect as of 3:00pm on Wednesday 9 April and Thursday 10 April, 2014. All vehicles (private and public) traveling the Western main road en route to and from the town of St George will be required to detour through Mt Rush, Mt Gay, Tempe/Marrast Hill, or Mortley Hill unto Lucas Street. Patrons and students attending the games will, on completion, board their buses in the vicinity of Green Bridge. Vehicles traveling the North Eastern route to and from the town of St George will use River Road, Cemetery Hill, Old Fort, Lucas Street route or alternatively the Tempe/Marrast Hill, or Mortley Hill unto Lucas Street. Patrons and students attending the games will, on completion, board their buses along River Road and or in the vicinity of the roundabout near La Qua crematorium. With the exception of emergency vehicles, no vehicle will be allowed to traverse through Green Bridge or the intersection with Melville Street and River Road after 3:00 pm. All other persons will board their respective buses at the Bus Terminus. Emergency Route: Cemetery Hill is a designated emergency route and as such traffic will flow one way only, which is from the intersection with River Road and Melville Street.